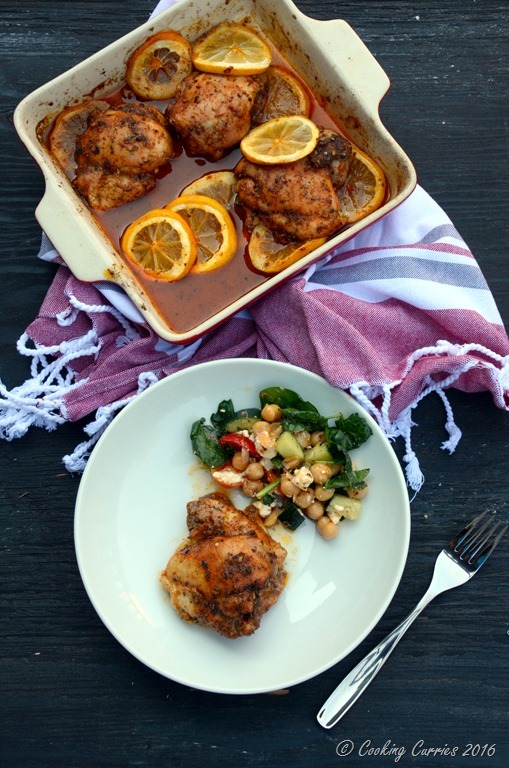 A crowd favorite recipe, for those who have tasted it as well as made it, this Mediterranean Spiced Lemon Roasted Chicken is a staple recipe every kitchen needs in its recipe box. This has become my go-to chicken recipe, especially for a crowd while entertaining. It does not take a whole lot of time to make, can be made/ marinated ahead and you just need to pop it into the oven once your guests arrive. It is pretty flavorful and all the liquid from the lemon makes the chicken really moist. I also make it for a Sunday lunch, especially if I have not made anything meat-y for my meat-a-holic. It does not need any extra dish washing. Just the one casserole you bake it in! 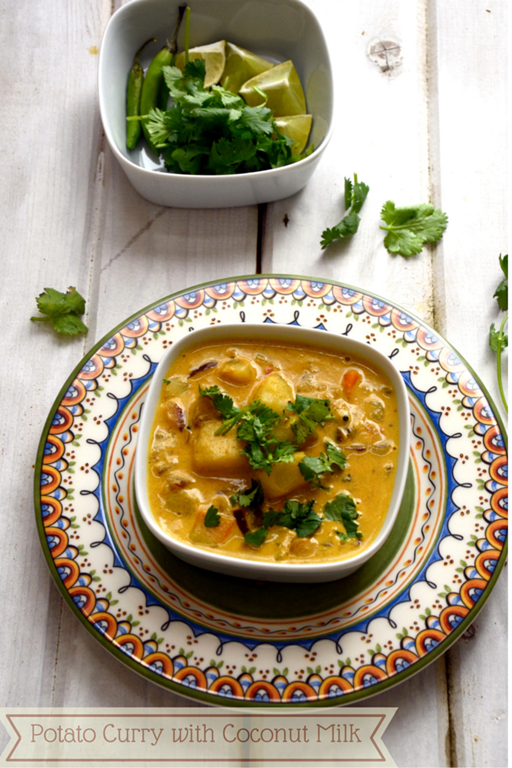 It is also a fan favorite – anyone who has had it at parties have gone back and made it and loved it!! I can go on and on about why you should make it. Why don’t you just go ahead and make it and see for yourself! I got the Greek Mediterranean Seasoning from Cost Plus World Market and the Harissa from World Spice Merchants here in Seattle. You can order it online too from their website. Arrange the chicken in a baking pan / casserole. If using bigger pieces of chicken, make small cuts on several areas on the surface, in order for the marinade to absorb well. Add the oil, salt, pepper, harissa, mediterranean seasoning and paprika and rub well into the chicken. Arrange the lemon slices, filling the gaps in the casserole and place a few under the chicken pieces too. Cover casserole with foil and place in the oven. Let cook this way for 15 mins or so. Remove foil and place it back in the oven. Bake till chicken is done all the way through. A thermometer should read 165F when placed into the chicken, near the bones, if you are using bone-in chicken pieces. Remove from oven. Let rest for 5 mins or so. Serve hot. You can marinate the chicken or make it immediately. [br]Marination time is not included in the cook / prep time. 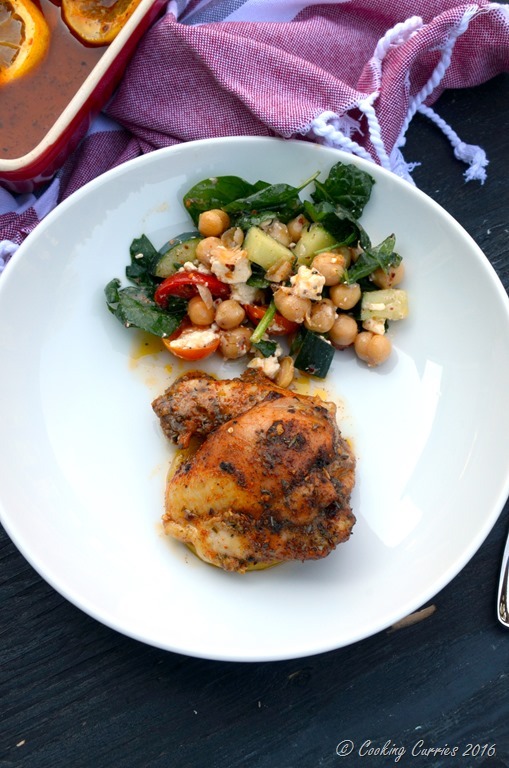 What a wonderful collection of ingredients, I love harissa, such a vibrant addition to chicken. Mmm my mouth is watering looking at these images! Love these flavours! Oh yum. And lemons are in season here right now. Seasonal produce for the win. OOoooh, I bet the harissa and the paprika make this phenomenal. Looks like such a delicious recipe! And I love that it can be made ready ahead of time– that’s so helpful! 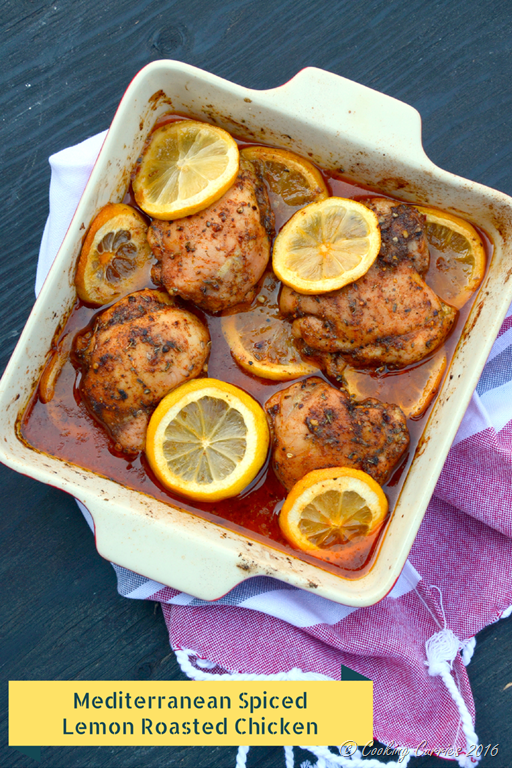 Chicken and lemon are a favorite combination! Simply amazing! The chickpeas work so well in this recipe.